Would advertising on Powerful-Sample-Resume-Formats.com be the right move for you? Get answers to that question and more on this Advertise on This Site page. Could this be your ad? It's a fact... The Internet is here to stay and job seekers and career changers are turning to the Web in droves to find jobs and learn how to stand out in today's challenging job market. How do I know? Because they're here on this site, every hour of every day! So if you're thinking about advertising here, good for you. It's one of the best ways to reach a highly targeted audience, hungry for just what you're selling. When you advertise on Powerful-Sample-Resume-Formats.com, you are using your advertising budget in a highly efficient way, directly addressing a large community of job seekers who are seeking solutions to career-related issues. Instead of spending your budget to try and attract interested customers, by advertising on the valuable real estate of this website, you'll know you are laser-targeting a ready-to-buy, motivated audience: active job seekers and career changers! Powerful-Sample-Resume-Formats.com has built a sterling reputation over the past nearly 7 years as an unbiased, information-filled site with easy-to-read and access facts about everything to do with hunting for a job. There is no other career site like this anywhere on the Web... at least not with our high quality standards. We are one of the premier career information sites on the Web. Traffic will continue to substantially GROW overtime therefore your value per click will increase (or...your cost per click will decrease). If you own a career-related business providing services or goods to the job seekers, this may be the time for you to consider advertising with us. Our Website is GROWING, Grow With Us! Our website offers Low Cost, High Value advertising opportunities that will help fulfill the potential of your own business. 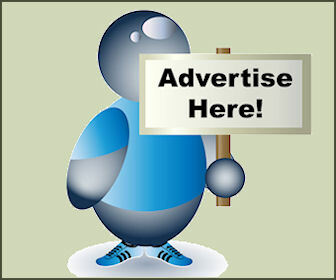 We offer a number of advertising options on this site. You'll see some sample ads on this page that give you an idea of size and placement. Also, if you see Google AdSense ads running on a page, that space is likely available for advertising as well, although I do reserve the right of final determination as to where and if ads will run on a page. I will not accept ANY ads on the home page, other than those running throughout the site in one of the sidebars. At any rate, advertisers should understand that my home page receives less than 3% of my overall traffic. Also, all ads, whether text links or graphical in nature are "no follow" links. Tier 1 is the home page and, as mentioned earlier, not available for ad placements. 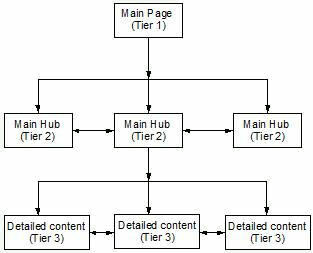 The Tier 2 pages are hub pages which focus on a specific topic. These pages usually give a general overview of the topic and then link to related Tier 3 pages. Tier 3 pages tend to be focused on specific subtopics of the main topic and are laser-focused, content-rich pages that tend to rank highly in the search engines. Both types of pages can receive high levels of traffic; it just depends on how popular that particular topic is at any given point in time. I am also always in search of high quality, relevant content for this site. Another option available to advertisers is the full page advertising article. With this type of article, you can gain the full attention of both our human visitors as well as search engine spiders by creating a dedicated page about your service or product. Your page will be submitted to search engines, be listed on our What's New page, and be accessible from our navigation menu, as well as from other relevant pages via text link. In your article, you can have up to 4 images or photos representing your topic/business (up to 100 MB in size each) and 4 (no follow) text links to your website. I think you can imagine what a high value option this is!